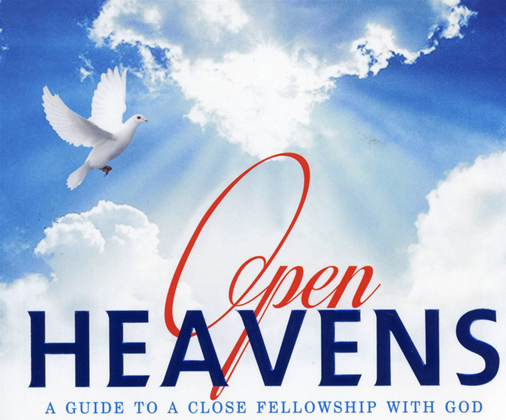 Open Heavens Devotional by Pastor E.A Adeboye, 2014. In today’s message, we have been asked to memorize 1 Corinthians 9:27: ''But I keep under my body, and bring it into subjection: lest that by any means, when I have preached to others, I myself should be a castaway.". No person is indispensable. As a Christian leader, you should always be conscious of the fact that God has substitutes. I pray that you will not be rejected by God in Jesus Name. One factor that is responsible for disqualification is disobedience. Sacrifice is good, but obedience is better than sacrifice. In our service to God, we should always bear in mind that what He requires from us is total obedience. Haphazard obedience is worse than outright disobedience. If you want to serve God and not be disqualified, you must be ready to obey everything the Lord asks you to do. Obey all His commandments regardless of whether they are convenient or not. Another stumbling block that leads to disqualification is carelessness. Many Christians are careless. They compromise their stand, yet they do not want to be disqualified. A careless and irresponsible servant might end up becoming disqualified by the Lord. In order not to be disqualified, you should watch and pray (Matthew 24:42). A Christian leader should be watchful and careful of all little foxes that destroy the vine. These include anger, bitterness, jealousy, inordinate ambition, strife, gluttony, lust, dishonesty, malice, not studying and obeying the word of God, impatience, talkativeness, etc. To avoid being disqualified by the Lord, we should live holy and practice the principle of self-assessment. Assess yourself on a daily basis to confirm that you are still in the Lord. Assess the motive behind your service, the level of your zeal, the level of commitment and your relationship with fellow Christians who are also serving the Lord. Does your relationship enhance the commitment of others to the service of the Lord? If the answer to this question is no, change. Are you drawing people to Heaven or to Hell by your behaviour? How watchful and prayerful are you? Father, grant me the grace to be watchful against disqualification, in Jesus’ Name.